Scars are visible signs that remain after a wound has healed. They are unavoidable results surgery, and their development can be unpredictable. Poor healing may contribute to scars that are obvious, unsightly or disfiguring. Even a wound that heals well can result in a scar that affects your appearance. Scars may be raised or recessed, different in color or texture from surrounding healthy tissue or particularly noticeable due to their size, shape or location. Scar revision surgery should minimize the scar so that it is more consistent with your surrounding skin tone and texture. The aim of all surgery is to achieve a scar(s) that are as inconspicuous as possible. However, when scars result from injuries, burns or cancer excision, the psychological impact of scarring can be profound. Self-esteem, self-confidence and social interaction can be significantly affected by abnormal scarring. The role of Plastic Surgery Revision of Scar is to restore self-esteem and improve the quality of life. 30 mins to 1.5 hours depending on complexity. Local or General depending on scarring. How are Normal Scars, Hypertrophic Scars and Keloid Scars Treated? Normal scars are managed to achieve the best possible scarring with simple Micropore Tape worn day and night for up to 3 months. Hypertrophic Scars may require more active treatment using pressure tape or garments, such as Lycra Garments, or TubiGrip. Some scar respond well to Silicone Gel either as an application or as a plaster. More severe Hypertrophic Scar may require topical steroid treatment (Haelan Tape) or a course of steroid injections every 4 to 6 weeks. Usually, these scars become less itchy, flat and pale after 3 treatments. Keloid Scars can be problematic to manage, requiring a logical and planned approach. Initial treatment will involve a course of steroid injections which is expected to produce improvement in about 80% or scars. Some may require surgical excision combined with steroid injections. Severe, recurrent Keloid Scars are treated by surgical excision and immediate post-operative superficial radiotherapy. The response rate with this protocol is about 90% resolution of the Keloid Scars. Scar Revision Surgery normally takes approximately 30 min to 1 ½ hours to perform depending on the complexity of the surgery. Will a special garment be required after Scar Revision Surgery? Following Scar Revision Surgery, supportive dressings, together with a support garment may be used depending on the complexity of the surgery and particular sites of the scars. What is an Abnormal Scar, Hypertrophic Scar, Keloid Scar? All scars progress through a continuum of healing from the time of injury (surgical incision) to complete healing or maturation. The time of this process is up to 18 months. Some scars may become red, raised and itchy for several months before settling with or without treatment to become pale and flat. These are typical Hypertrophic scars. Some may need active treatment with pressure tape, LASER treatments or steroid injections to speed up the healing. Other scars become very abnormal, growing continuously and spreading beyond the original scar – Keloid Scars. Keloid scars are troublesome, becoming itchy, raised, painful, disfiguring. The goal of Scar Revision is to remove, improve or make a scar(s) less visible or conspicuous. A visible scar which is causing discomfort / self-conscious, is excised either under local anaesthetic or general anaesthetic to produce scar(s) as inconspicuous as possible. Various Plastic Surgical procedures may be required to achieve the optimum results, such as Z plasty or W plasty. Following Scar Revision surgery, the post operative care will be important to ensure the optimum healing of the Scar. You should be fully informed of the benefits and risks of this surgery and be realistic about what can be achieved by Scar Revision Surgery. Does Scar Revision Surgery require a general anaesthetic or hospitalisation? Scar Revision Surgery can be performed under local anaesthetic or general anaesthetic either as an out-patient procedure or as a day-case. The type of anaesthetic will depend on the extent of scarring to be revised and the site(s). The most appropriate anaesthetic for you will be discussed at your consultation. What about the scars following Scar Revision Surgery? Remember that all scars take time to heal and mature. Careful attention to the post operative recover which is appropriate to the scar(s) being revised is important to ensure uncomplicated healing and optimum scar appearance. Can Scar Revision Surgery be performed at the same time as other procedures? Yes, Scar Revision can be combined with almost any other Cosmetic Surgery provide that it is safe to do so. What is appropriate and safe for you to combine will depend on your Medical Health, your goals and the individual procedures. Moderate pain / discomfort is expected for 3 – 5 days. Patients can go back to their normal daily activities after 1 week, but avoid strenuous exercise / activity for 6 weeks including any contact sports. Restricted activities will be recommended depending on the site(s) of scars and the complexity of the Revision Surgery required. What reassurance do I have with Scar Revision Surgery? 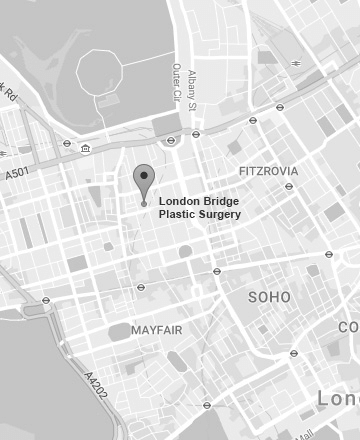 At LBPS, we understand that your decision to have Scar Revision Surgery can be a daunting and anxious time for you. Our aim is to fully understand your concerns and desires, and assess your neck accurately, before agreeing on a treatment plan which is in your best interest. If for any reason you are unsuitable for Scar Revision Surgery, you will be advised against this form of surgery. We will provide you with all the information you need and support before, during and after your surgery.